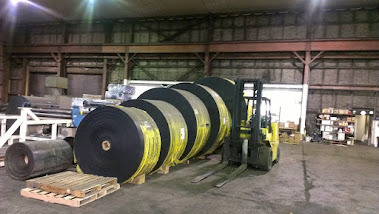 Belt Doctor: Contitech Hot Service Belts - Superior Performance! 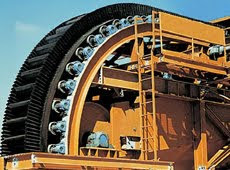 Contitech Hot Service Belts - Superior Performance! 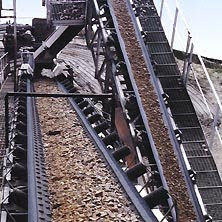 With Temperature Spikes well above 1000 degrees F , the Coke Oven Wharf Belt is a severe test of Conveyor Belting. 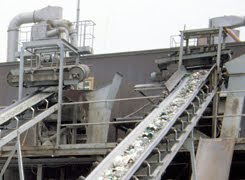 Contitech has developed a High Performance EPDM belt with a Fiberglass Breaker that provides rubber cover protection of a constant 400 degree F, with a second line of defense being the 1300 degree F rated fiberglass breaker situated below the top cover but above the reinforced carcass of the conveyor belt. 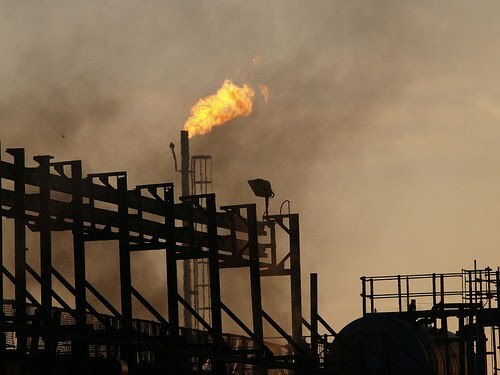 The EPDM compound will give continuous heat resistance for the normal operating conditions, while the fiberglass will insure against the spike of a hot baking load that would cause certain burn through and catastrophic belt failure if it weren't for the fiberglass breaker.